Apply Fixed Deposit | Compare FD Calculator: What are the Benefits of Fixed Deposit Policy? What are the Benefits of Fixed Deposit Policy? A good investment portfolio comprises of a balanced bag of secured and risky investments. Although an investor can invest in capital market instruments for gaining high returns, they are more subject to market risk. For this reason, fixed deposits offered by financial institutions, like banks, are quite favorable for investors because of their guaranteed returns. A fixed deposit, or FDs as they are generally known, is a financial instrument wherein the customer deposits his investments for a fixed tenure with the bank and earns a pre-determined rate of interest on it. · Fixed deposits offer a higher interest rate, which helps the individual save their surplus funds in an effective and secured way. 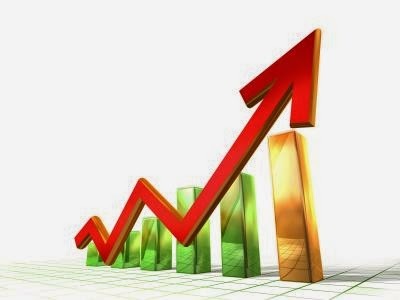 · The rate of interest varies as per the period, the amount and the respective bank. · The period of fixed deposit is usually between 15 days to 10 years. · As the name suggests, this is a ‘fixed’ investment which implies that the withdrawal can be done only after the maturity of fixed tenure. Although, in case of an emergency, there is a feature to close the account prior to the maturity date. In such a scenario, the bank deducts 1% as a penalty from interest payable as on that date. · A fixed deposit receipt is given to the depositor, which he needs to produce at the time of maturity. In case the depositor is interested, the same deposit can be renewed further. · A safe instrument: Fixed deposits from banks are one of the safest instruments to invest as they are regulated by the Reserve Bank of India (RBI) and guaranteed by the Deposit Insurance & Credit Guarantee Scheme of India. This is the major reason why company FDs are not as safe as bank FDs because if the company goes bankrupt, the entire money could be lost as they are not covered under this regulatory body. · Fixed deposits offer good liquidity: These deposits help in generating regular income in the form of interests. The depositor can also get loan facility (up to 90% of the principal amount) on these deposits from the bank. · Fixed deposits help in the economic development of the country: These deposits indirectly help in the economic development by raising long term funds for banks which they can invest in high return projects. This cycle helps in increasing the overall profitability of the bank. · Convenience: Bank fixed deposits offer great comfort and ease to an investor as they can save according to their need and budget. The investments can start from a very small amount of Rs. 100 with no upper limit on the same. Bank fixed deposits have been one of the best traditional strategies to preserve one’s capital among all age groups and profiles. Banks are constantly adding new benefits and schemes to the existing plans to make them more lucrative for customers so that they can use this as a primary source of investment.